Sanford Housing Authority serves Sanford, Springvale and the surrounding towns of Alfred, Kennebunk, Lebanon, North Berwick, Wells, Shapleigh and Acton. The primary objective of the Sanford Housing Authority is to provide housing assistance to residents in our jurisdiction. This assistance takes the form of direct federal programs that financially assist in paying rent for family and individuals, and also takes the form of the advocating for and the promotion of more affordable housing in our community. Historically, the method by which the SHA addressed these objectives was by applying for federal housing programs that either; built developments or provided rental assistance in privately owned apartments in the community. The decline of funding for these more traditional approaches to the affordable housing needs has resulted in a reassessment of the methods that the SHA will pursue in providing these badly needed housing resources. We have recognized that housing is only one of many problems our communities face and that there are many other governmental and social agencies in our community, which try to assist with those problems. By promoting better and consistent communications with these other providers, the SHA has good information as to what these other groups do and how we may assist them (and they us) in being more efficient with our resources. This, in turn, has led to many cooperative ventures between agencies like the York County Community Action Program, York County Head-Start, the Caring Unlimited Program, York County United Way, and Southern Maine Health Care. The SHA has learned that since there is no longer a "recipe" for obtaining federal housing resources, we must be more inventive and open in our approaches to local production of affordable housing and the partnerships formed to do so. 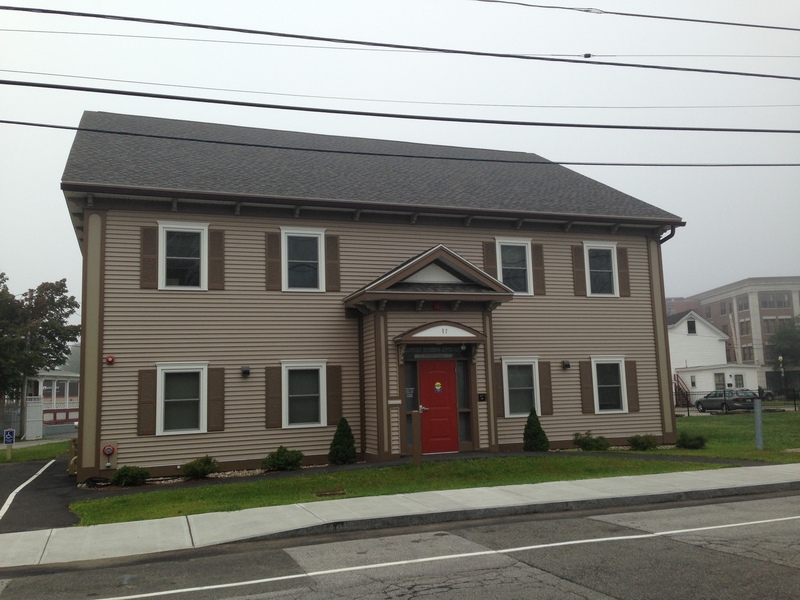 The SHA helps address the housing needs of over 800 families living in Sanford/Springvale. Families must have incomes at or below 80% of the area median income in order to qualify for our housing programs. Our waiting list of families who qualify for assistance, but who are not currently being served, is in excess of 1000 applicants. This means that there could be over a three-year wait before an applicant receives housing assistance from our agency. The Sanford Housing Authority’s strength is the superb Maintenance Department and excellent Housing Division. It is the dedication and hard work of the staff in these divisions that maintains our reputation as a responsible and credible apartment owner in Sanford/Springvale. The Maintenance Department has performed in excess of $5,000,000 in rehabilitation to our properties in the past ten years. This work has consisted of installing all new doors, cabinets and replacement windows in our family development, installing replacement windows in our eight-story high rise, completely gutting and retrofitting four apartments for handicap accessibility, and refurbishing all of the remaining apartments at Sunset Tower. The Housing Division has evolved into a group of managers who are competent, consistent and informed. They have received all the necessary training in the regulatory and procedural requirements of the federal subsidy programs including low-income housing tax credits that the SHA operates. We have evolved and established procedures and policies that help guide our management practices in a way that allows residents to have clear knowledge of our expectations of them and they of us. In our somewhat biased opinion, we are the most professional property management organization in York County. The Board of Commissioners of the Authority guides the direction taken in the types of programs and housing SHA administers. They provide the review and approval of the policies and activities of the SHA; which are then implemented by the Executive Director and staff. The Sanford Housing Authority is audited and inspected every year by the Department of Housing and Urban Development and our agency has consistently attained the status of high performer. It is our strong belief that housing is only one of the necessary resources needed for the poor to succeed in our community. While our primary mission is the provision of safe and affordable housing, our ultimate objective is to promote and develop affordable housing so families that are working can afford to live in our city.